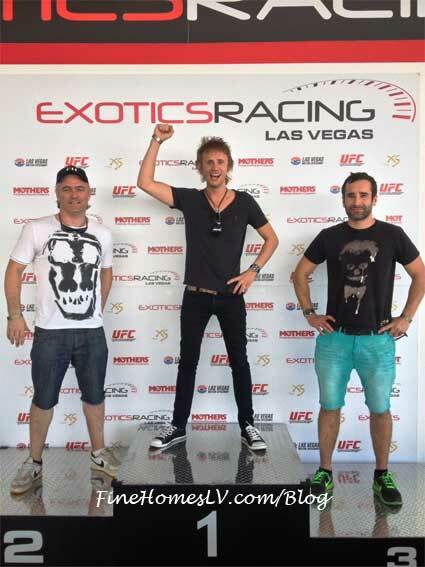 Dominic Howard, drummer for the band Muse, and D’Aundre Reed, defensive end for the Minnesota Vikings, stopped by Exotics Racing Las Vegas at LVMS this weekend for a little adrenaline rush. 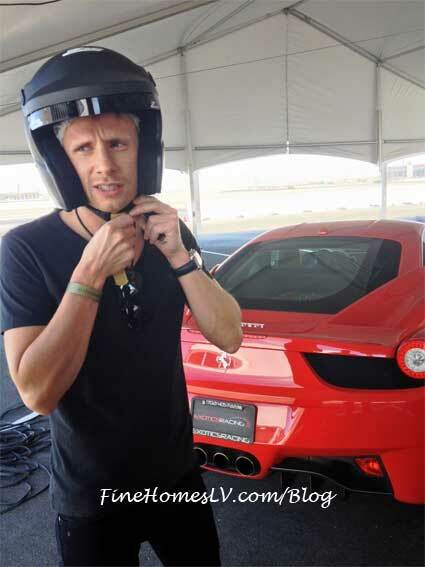 Before the big Muse concert at Mandalay Bay last night, Howard paid a visit to Exotics Racing. He took a Ferrari 458 Italia for a spin around the private, custom-built racetrack. He also went out for a few high-speed laps around the track in a Corvette Z06 for a drifting ride along experience. D’Aundre Reed celebrated his bachelor party at Exotics Racing with a few close friends. He drove seven laps around the supercars race track in the Nissan GT-R.